Well now, has it REALLY been 6 months since my last blog post? Boo! 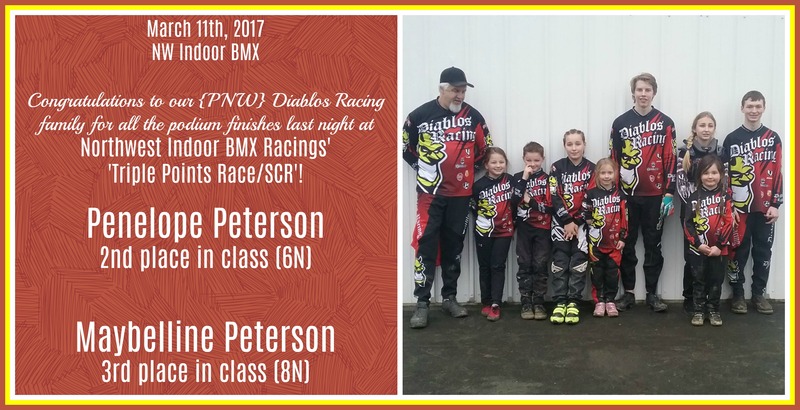 The girls’ raced BMX most of the winter and spring at NW Indoor BMX, until they closed in early May for the outdoor season. Since then, we have done a handful of races at our local track (McCollum Park) and been to the Peninsula once. In March, we attended the Dirty Poker Run put on by the Fringe Motorcycle Club. As always, it was a BLAST. This year, members from Maybelline’s 4H group attended – and she also got to work at one of the poker checkpoints (as part of her 4H Community Service requirements). 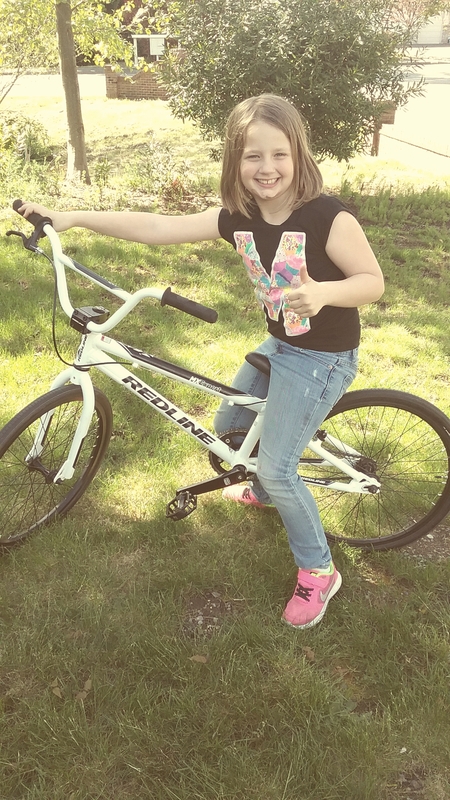 In April, Maybelline bought herself a new BMX bike – and gave her sister her old one. 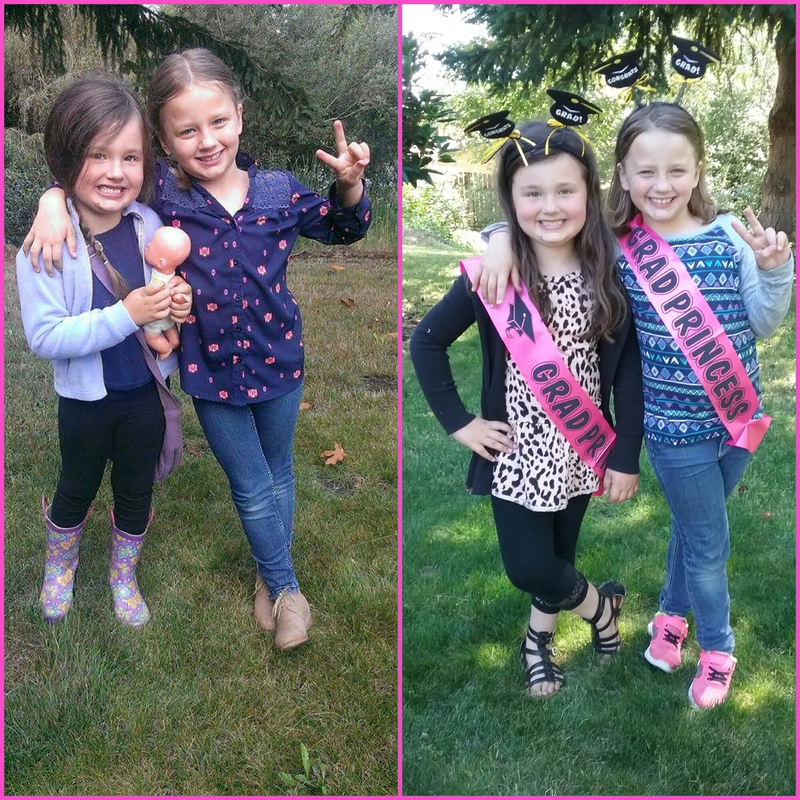 It was most definitely time for both of the girls to step a size up…love watching them improve as they grow! Also in April, WE ADOPTED A PUPPY! For many years, the kiddos and Dan have been trying to convince me we need a dog. I was not sold on the idea! Eventually, when the right time/right situation came along, we jumped on it. 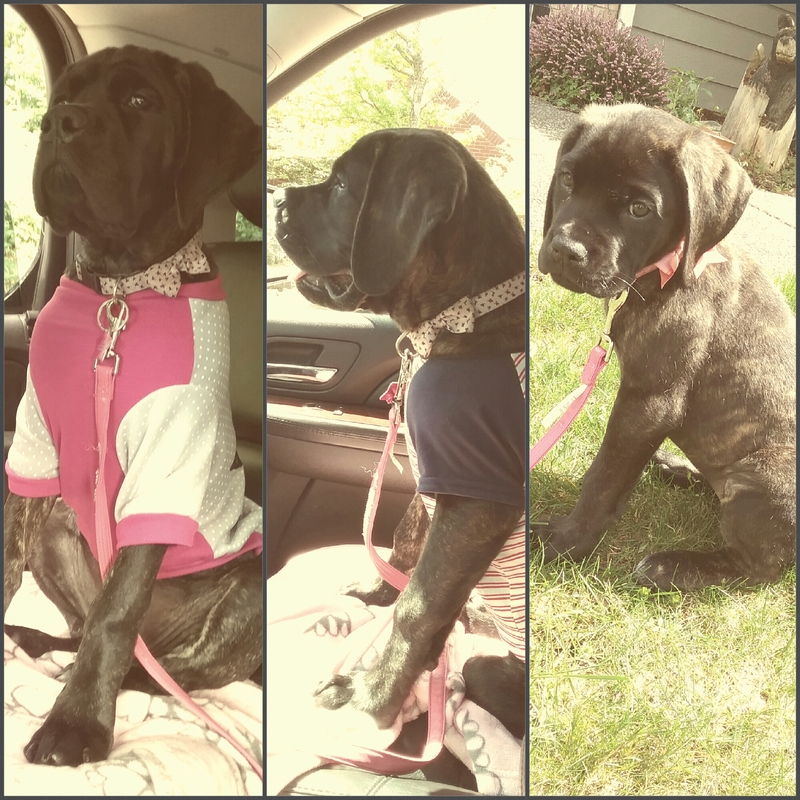 On Easter Day, the ‘Easter Bunny’ delivered an adorable 10 week pure breed Mastiff puppy…we named her EB (short for Easter Bunny). We love and adore her SOOOOO MUCH! 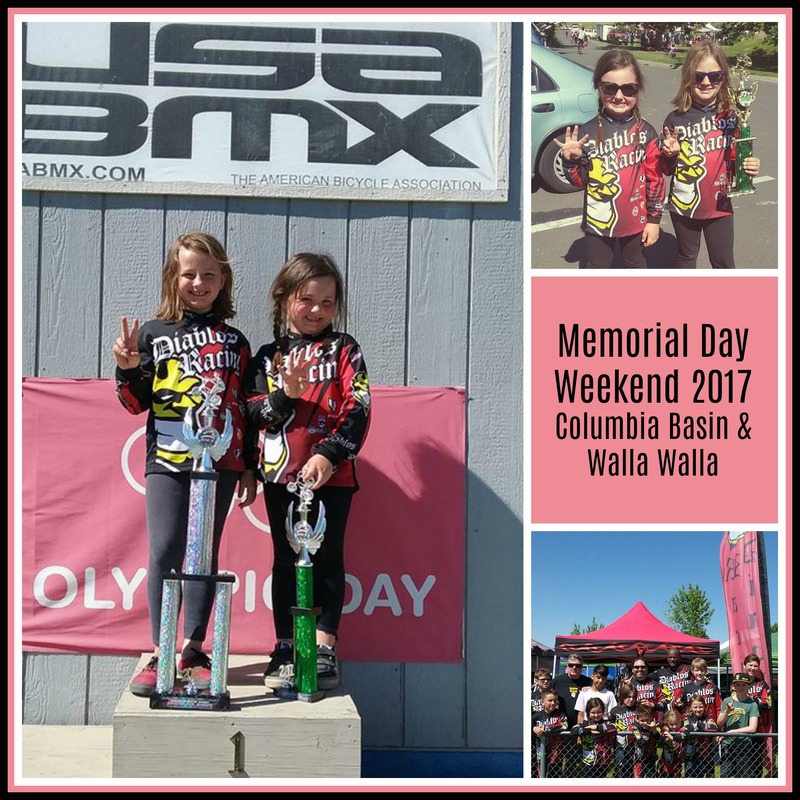 We spent Memorial Day weekend over in tri-cities…racing Saturday morning at Walla Walla, Saturday evening at Columbia Basin, and Sunday morning at Columbia Basin. 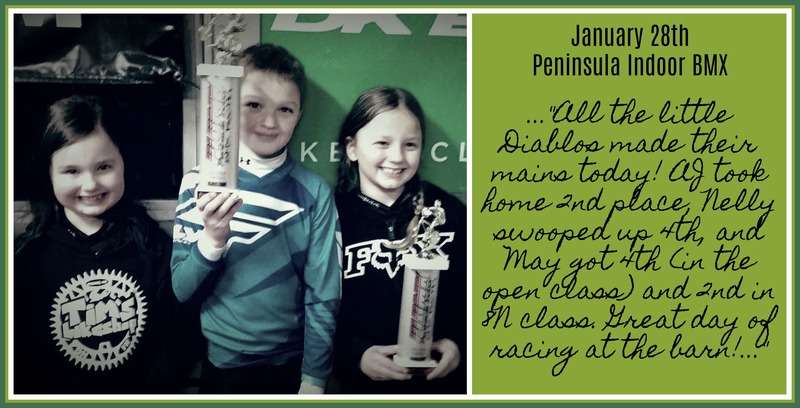 The girls’ swooped up podium finishes at all 3 of the races – and they sure went home as tired puppies. The weather that weekend was toppling in the 90’s…and of course, our AC in the #motohome had to go out in the middle of the trip – so that was quite the adventure. We are working on getting that fixed, as we speak! 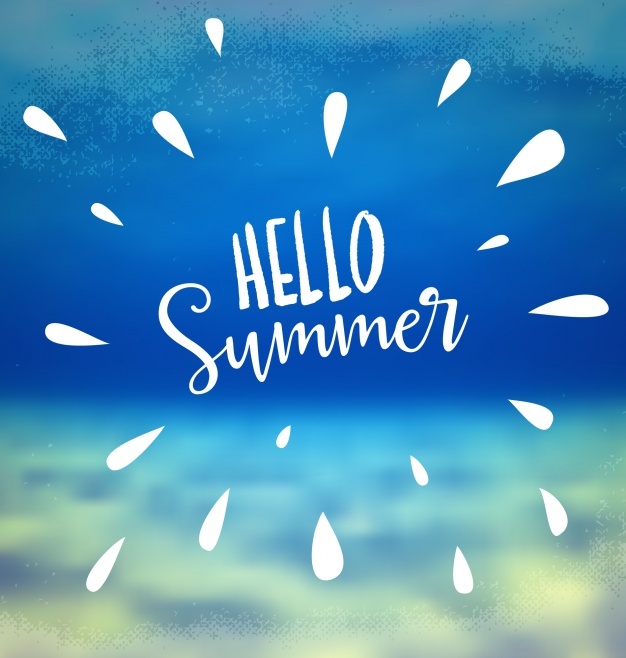 Most of June was focused on wrapping up school and work, and preparing for the summer that lies ahead! In addition to graduation and birthday parties galore, we and trying to squeeze in some track time where fit. Cycle Barns annual ‘Kids Day’ was in late June – and Poppa Wheelie and Maybelline volunteered for the event (and I somehow got coerced into working a few hours myself). 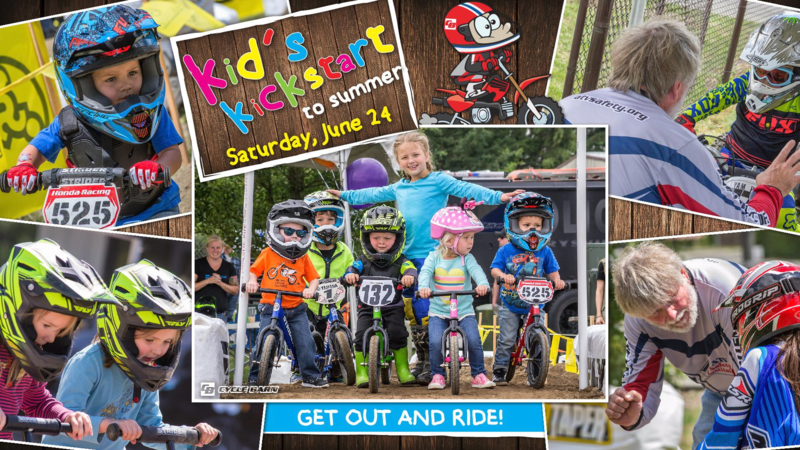 It’s always fun to help get kiddos onto quads/dirt bikes/strider bikes for their first time…so many happy smiles! Maybelline chose to have her birthday party at Poppa Wheelies again this year (I know, SHOCKING)! About 60 people attended, and we had as many as 15 kids riding the track throughout the day. In the early afternoon, we hosted a small ‘poker run’ ride for all the kids with some really great prizes/swag. 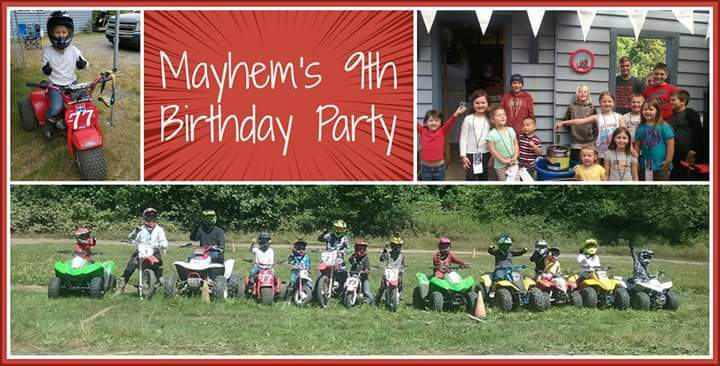 Her birthday parties are always THE BEST – HAPPY 9th BIRTHDAY MAYHEM ♥. It is now July (how the heck did that happen) – and the calendar is JAM PACKED with #moto #moto #moto through the rest of the summer. Both girls finish up swim lessons this week, and then we are off to Eastern Washington to ride with the 4H group for the weekend. Shortly after that, Mayhem is off to DIRT BIKE summer camp for an entire week. 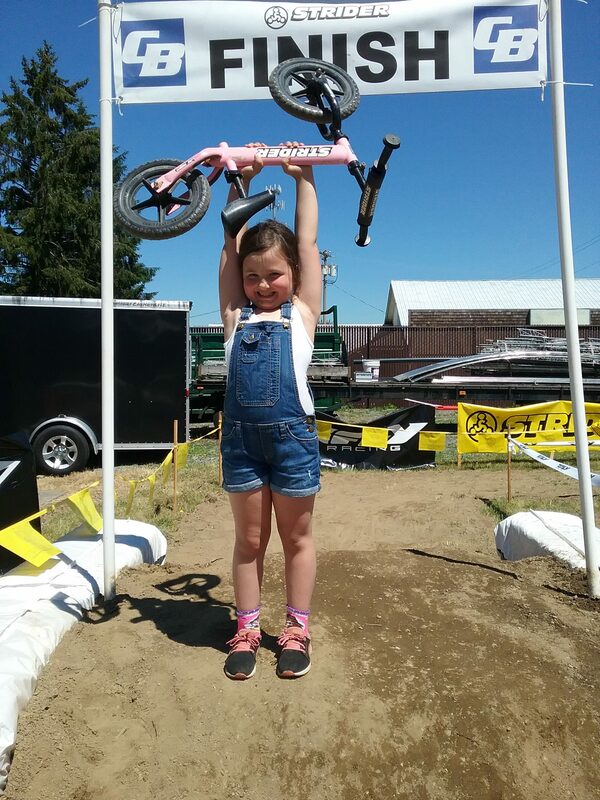 We have a big trip down to the Coos Bay sand dunes in August – immediately returning to 2 weeks out at the Evergreen State Fair (Mayhem will be competing on her dirt bike). We end the summer with BMX State Finals in Tri-Cities…than, back to school (and back to work for me). 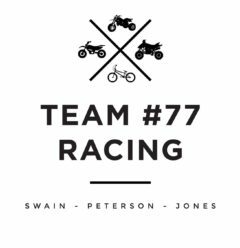 Stay tuned for more adventures from Team #77 Racing! 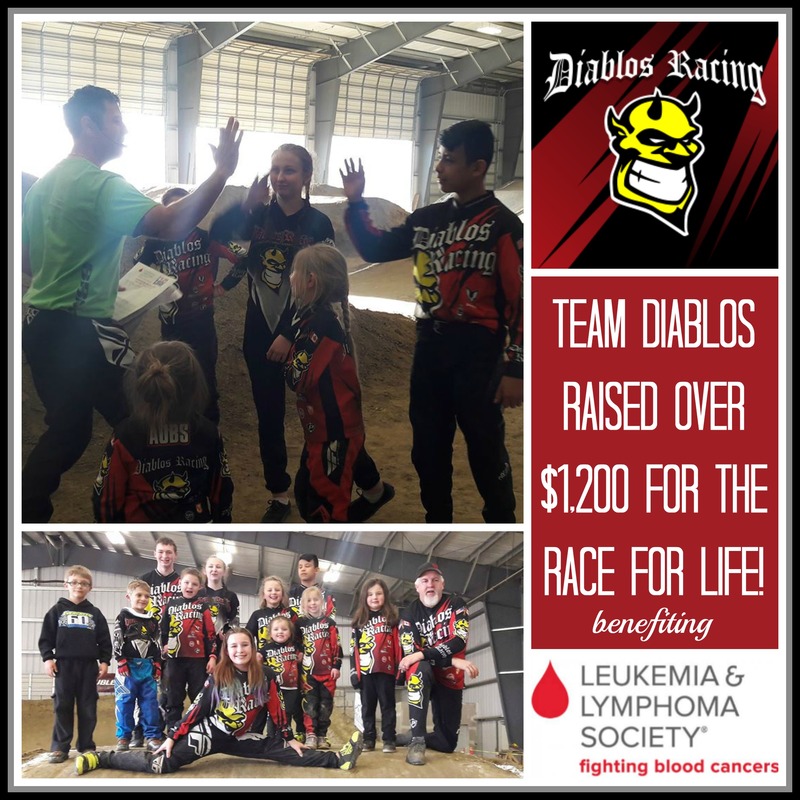 Author team77racingPosted on July 10, 2017 July 19, 2017 Categories BMX, Cycle Barn, Diablos Racing, Family Fun, Poker Runs, SponsorsTags #Team77Racing, #TEAMDIABLOSBMX, Cycle Barn, EB, Fringe, Kids Day, Mayhem, Poker Run, Summer 2017Leave a comment on Let’s Catch Up!